Pay per click advertising mainly contains three types of adverts. You can use the most popular form, the text advert, which will allow you both access to publisher websites and search results to promote your campaign. However, two areas advertisers do not tend to take advantage of are image and display adverts, which are the adverts which appear on publisher websites within the advertising unit sizes. This could be done to a lack of expertise into making such adverts, or the lack of needing to fund time into such adverts when PPC search text adverts have been working perfectly fine for advertisers as it is. Nevertheless, image adverts tend to bring in great CTRs because the freedom the advertiser has within the advertising space is limitless. With this, here are a few ways you can optimise the look of your PPC image adverts to gain healthy CTRs from them. Blending the colours to make them as visually pleasing and subtle as possible. Compliment colours to make them different but but similar to eachother, adding more colour. Contrast the colours, choosing very light, dark and bold colours to attract as much attention as possible. In general, you might find your CTR does increase contrasting colours since it will visually gain more exposure than colour schemes that are more subtle. However, the user experience of interacting with the advert, along with their level of interaction with your landing page, will reduce. For this reason, for image adverts, blending and complimenting adverts are the best way to go. The great thing about image adverts is that they have the potential to speak a thousand words. 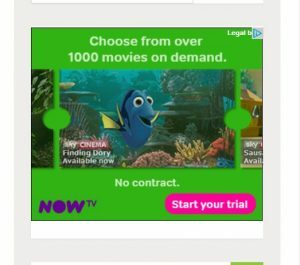 For this reason, if you are transitioning a search text advert to an image advert, it does not necessarily mean that you have to keep all of the content from your text advert in your image advert. What works well is removing everything except for a shortened down title and, if it is 3-5 words long, a description to go with it. Apart from that, not much more content, in terms of actual text, is needed for an image advert. Call to actions are the PPC advertiser’s best friend. This is because a CTA allows the web user to understand what they have to do with regards to the advert. This might sound a bit silly but some web users will not understand how to interact with the advert unless they are explicitly told how to. Therefore, by including a CTR such as ‘Buy now’, or ‘Don’t miss out’ or ‘Order here’, you are giving direction that, in order to complete your conversion, the web user has to click onto the advert.